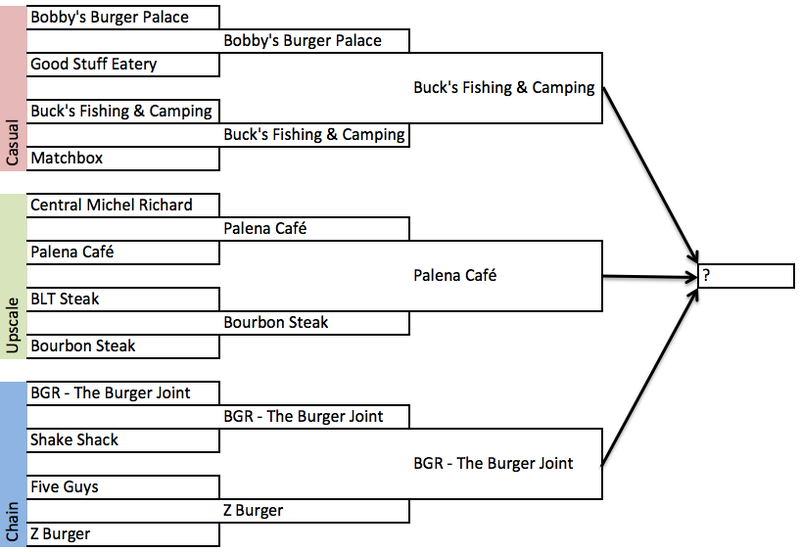 I think I agree with your ranked list, although I might place BGR above Buck's. Or maybe not. Perhaps we should sample both again so I can make a final determination? This was a fun project and I enjoyed reading it and participating. You performed a real service to burger lovers in D.C. I'm a little burgered out at the moment, but eventually, I would definitely like to make it back to BGR and try some of their other burgers (it goes without saying that we'll be back at Buck's soon). We returned to BGR yesterday and it was every bit as good as I remembered. What a delicious hamburger.